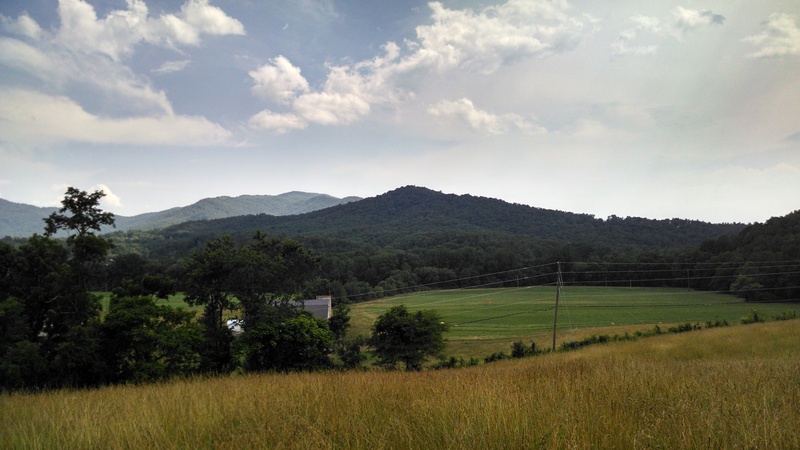 This weekend I went to SAYMA – Southern Appalachian Yearly Meeting Association – a four-day Quaker yearly meeting in the beautiful mountains of North Carolina. There are several different groups within SAYMA, mainly separated based on age and walk of life. I currently belong to the young adult Friends (YAF), where “Friend” is another term for “quaker” , who are famous for disorganization and a group dynamic that might be accurately described as “Heisenbergian.” There seems to really be no way to know how many people are in YAF at any given time. This year in particular brought that dynamic into stark relief. Five YAFs including myself were regular attenders of our business meetings, but based on chance encounters in the dorms it seemed like there must be at least twice that number of young adults wandering around. I even got a few of them to freely admit to being YAFs and promise to come to business meeting, but they never showed. These YAFs consisted primarily of Friends who had not been in the middle and high school groups, Southern Appalachian Young Friends (SAYF), during their respective youths, and who were therefore largely unknown to the YAF core, those of us who had been around for the long haul. Until very recently I assumed these YAFs to be non-YAF YAFs, that is, young adults who lived in the dorm provided for young adults but had no interest in any YAF activities, and instead spent most of their time distributed among the older adults. As clerk (Quaker term for head organizer) of YAF, I was responsible for them in some technical and abstract way, but if they didn’t want to be part of the community, I didn’t see any good in forcing them. That was until Saturday night. Saturday night is special at SAYMA. It is the night when the SAYF and YAF communities celebrate the transition of senior SAYFers from SAYF to YAF. Because this is a two-part process, the first of which, saying goodbye to SAYF, begins at ten and ends between midnight and one in the morning, the “welcome to YAF” bit generally involves staying up past my bedtime. There’s some free time between supper and welcoming new YAFs, so I was upstairs working on my recursive autoencoders. Eventually I decided I need a break, and I came downstairs to see something happening on the dorm’s deck. Fortunately, with my clerkly powers I managed to convince a majority of these people to actually join us in our late-night celebration of graduating SAYFers. Later they explained that they couldn’t come to our business meeting because it conflicts with the general business meeting. I hope to bring these concerns to next year’s planning committee, and maybe we can bring some healing to the fractured YAF community. Previous PostOriginal Sin of the FortunateNext PostGreetings from Sunny Baltimore! It is important work you do; trying to organize and invigorate the SAYMA YAF organization. It’s great that you did encourage and achieve group cohesiveness for graduation. I imagine that meant a lot to the graduates and to the YAFs as a whole. I wish I had a group like YAF or SAYMA when I was younger. Try not to get discouraged.